When I was in the shower after my squash match last Sunday, my Italian opponent delivered a lecture on the spiritual satisfaction he received from plastering. (At this point I think I will suspend the commenting facility on this blog.) Utilising an adjacent shower-head as a prop, he demonstrated how one repeatedly sprayed the plastered area. He explained how essential it was to respect the materials. Timing was of the essence as one moved back and forth from one side to the other, first spreading, then smoothing then spraying and then repeating the cycle. I've heard other people make similar claims about the joy they get from plastering. 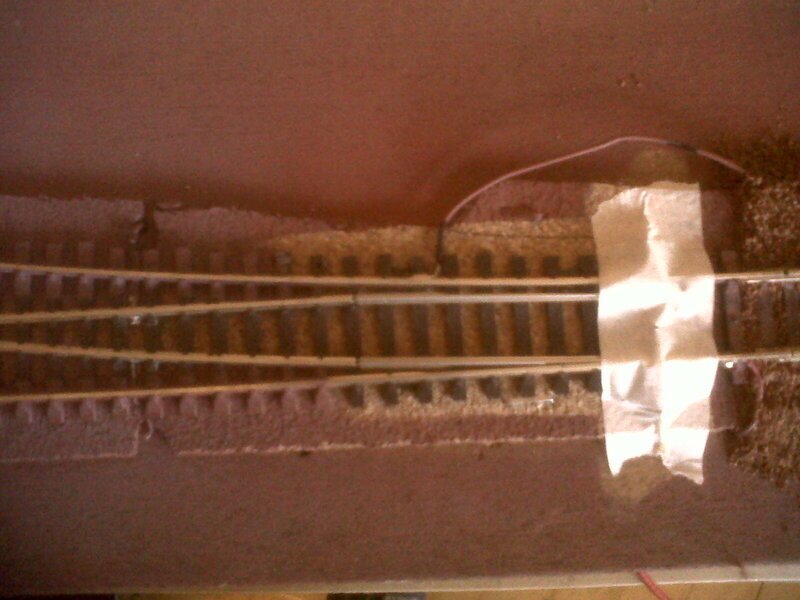 Well, up until this point I have had very little pleasure from this model railway project- except for making purchases on the internet. Certainly, I felt a degree of relief when I managed to install the DCC chip in my little Jouef loco and likewise when I mastered the electrics involved in getting a set of electro-frog points to work. But that was different. 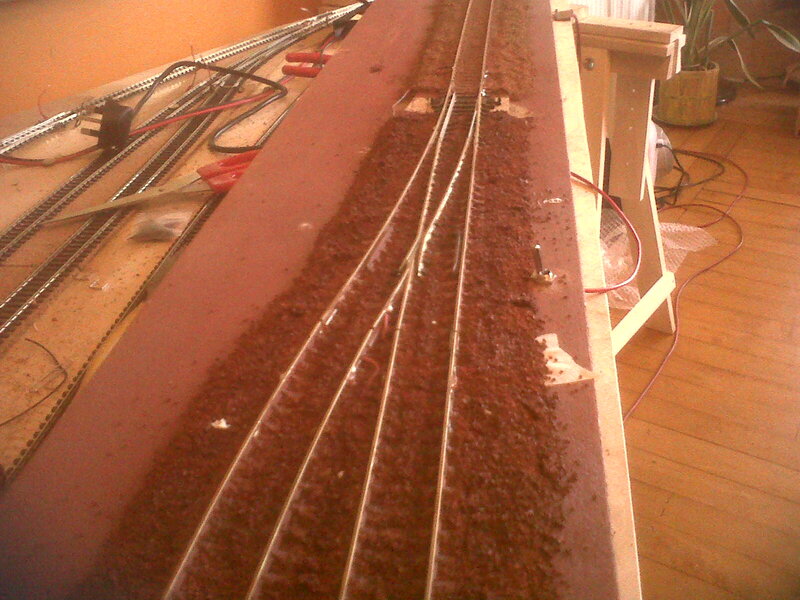 I most certainly did NOT enjoy the process of fitting the chip or wiring up the points. The end-result was satisfying, but the journey to arrive there was frustrating and frankly, boring. 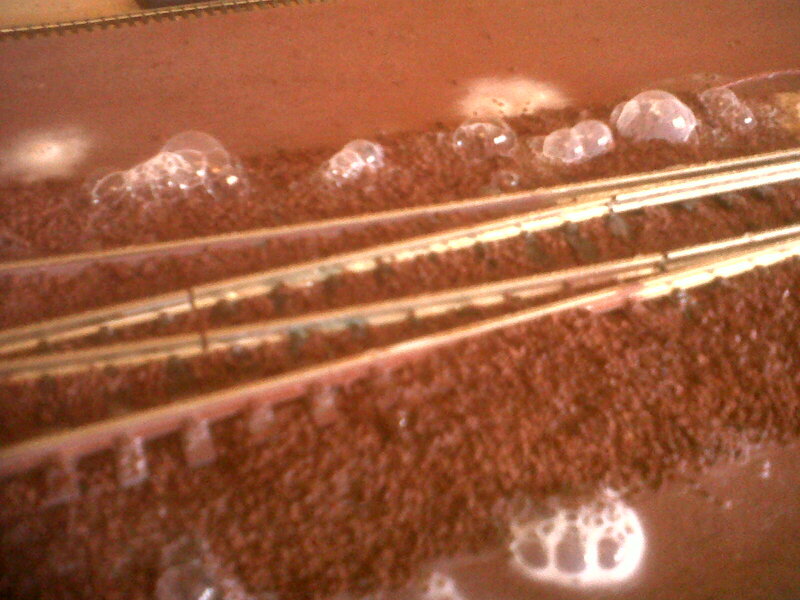 Faced up to ballasting the points today. 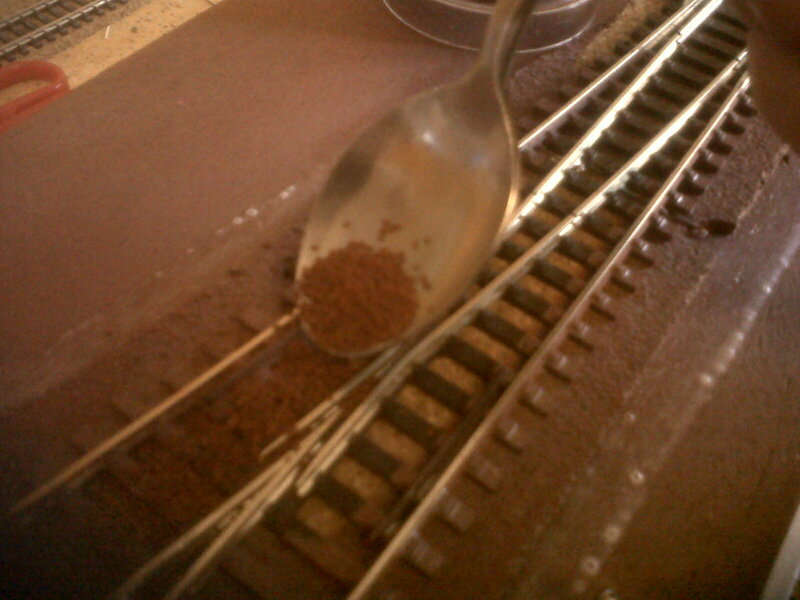 Obviously, there are lots of places where NO grains must be lodged eg in between the complex of rails or in the changing mechanism. 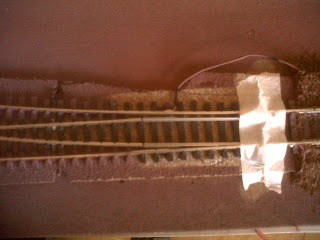 As far as the latter is concerned, I sealed that with masking tape and will tackle it another day. Two innovations: neither especially successful. 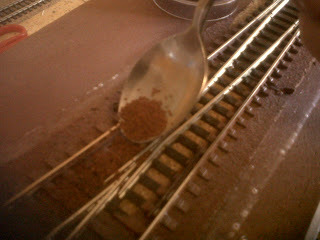 Decided to use a teaspoon to give me more control over distributing the ballast - it didn't. 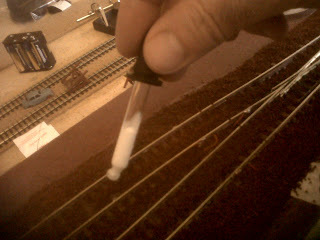 And tried an eye-dropper to distribute the PVA (as opposed to the drinking straw). Certainly, it was easier to use the eye-dropper, but the glue tended to come out in blobs as opposed to little streams, and so consistency in coverage was more difficult to achieve. The eye-dropper also created some interesting bubble effects - temporary ones, of course. 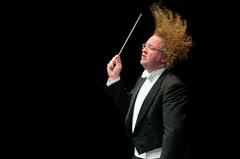 The French conductor of the RSNO gives his farewell performance in Glasgow on 12th May. Have tickets for what should be a spectacular evening. The centrepiece will be Ravel's Daphnis and Chloe - just a huge tone-poem in my opinion but delivered with massive instrumental and choral forces it should provide a tremendous visceral experience.